On the third Wednesday of each month, the best of brightest of Melbourne’s close up magicians join forces to bring you an evening of extraordinary deceptions and illusions performed up close and personal. With a different line up each month, every Sleight Night is a little different. One month, you’ll see the finest card cheats in the country, the next you’ll see world class mentalists bending spoons right under your nose. With only 32 tickets available each month this is an exclusive and intimate event at unique venue that has been specifically built for close up magic. 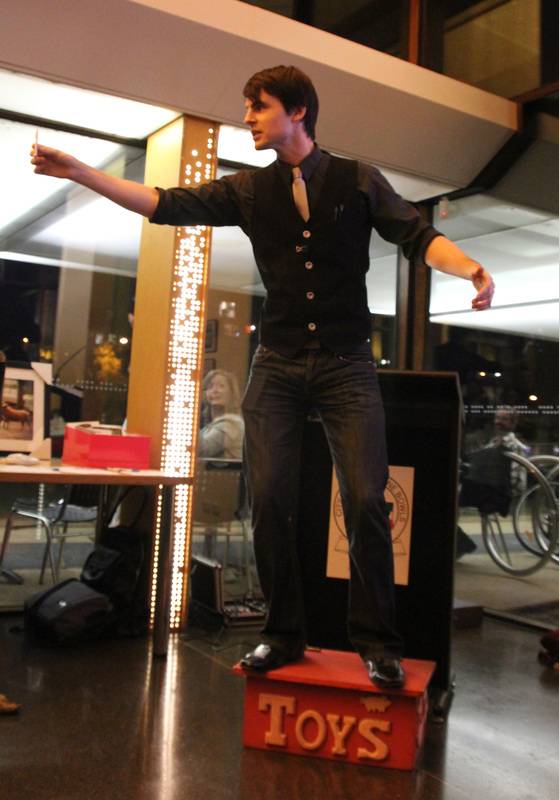 Bayden performs regularly at Sleight Night. Keep an eye on his Facebook page for details. 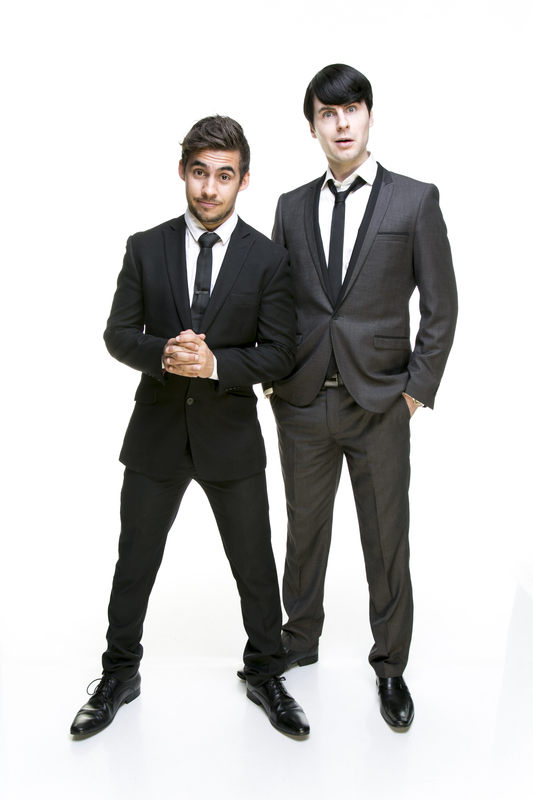 Professional magicians, Dom Chambers and Bayden Hammond, combine astounding magic with hilarious sketch comedy. Their award-winning debut show took audiences on a side-splitting journey involving everything from disastrous dates to incompetent lawyers. Met with high praise, the show was a sold-out success across multiple festivals in 2015-2016. The lads are now touring their sophomore show, Gone Girl, a shameless parody of Hollywood thrillers. Featuring their trademark cast of quirky characters, the story follows one man and the perilous quest to save his kidnapped dog. This critically acclaimed production was a hit with audiences at the 2017 Melbourne Magic Festival, and can be next seen at the 2018 Melbourne International Comedy Festival. For Dom Chambers, life as a magician is a sweet one. But when his dog is suddenly kidnapped, he is thrust head first into a perilous cross-border adventure to save her. Drawing on his unique talents, he soon uncovers a complex web of deceit, and spirals ever closer to a blood-chilling truth that will change him forever. The beloved sketch comedy magicians, Dom and Dumber (Dom Chambers, Bayden Hammond), return with their brand new show, Gone Girl. Featuring their original and award-winning breed of entertainment, the show follows one man and the epic quest to save his kidnapped dog. And quite the story it became. Showcasing their trademark cast of quirky characters, this second instalment is an unabashedly shameless spoof of Hollywood thrillers, complete with a mind-bending plot twist that you won’t see coming. And, with a clever array of magic and illusion woven into the story, Dom and Dumber will once again leave you gasping and laughing out loud, all in the same breath. “I like to think of it as Harold & Kumar meets Taken” Bayden muses. “A genre mashup of theatrical comedy and psychological thriller, sautéed with a dash of David Copperfield.” Dom and Dumber’s Gone Girl debuts at this year’s Melbourne Magic Festival, running from July 11-15. And with their previous show achieving sell-out success at the Melbourne International Comedy Festival, audiences can look forward to falling in love with this cheeky duo all over again. Don’t miss out, tickets are on sale now! The end of the year is fast approaching, and in what has quickly become tradition, December marks the big, end-of-year Christmas show for Top Hat Tuesday. And in order to properly celebrate its fourth year, it’s going to be bigger than ever – a royal rumble with seven performers! It’s a chance to send off 2016 with a bang, and to salute what has been an absolute joy ride of magical entertainment over the year. 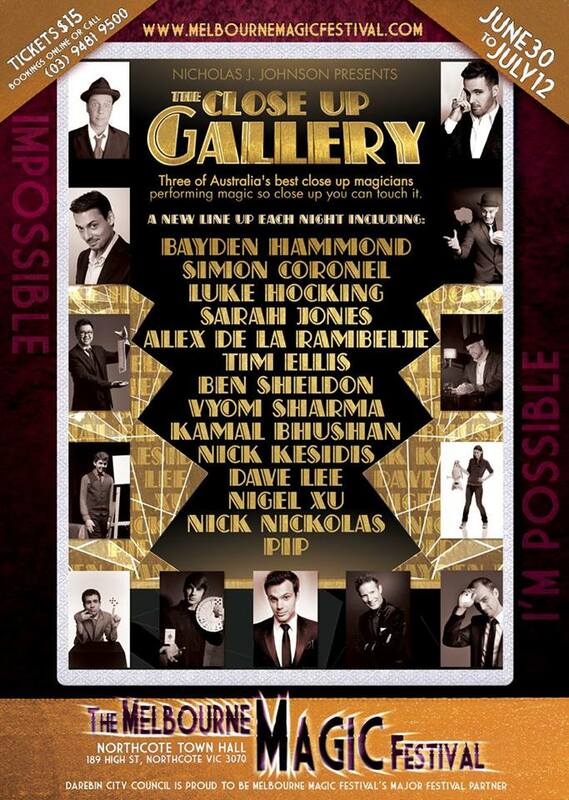 Funnyman Bayden Hammond will host the evening, showcasing a mix of big names, fan favourites, and exciting new faces. So come and join the fun, and bring some real magic to your festive season! Meet the stars of the Me lbourne Magic Festival up close and personal! Set in the intimate surrounds of the Studio 2 Close-up Gallery with audiences of just forty per show, you’ll be treated to the best and brightest of the festival performing magic so close you can touch it. 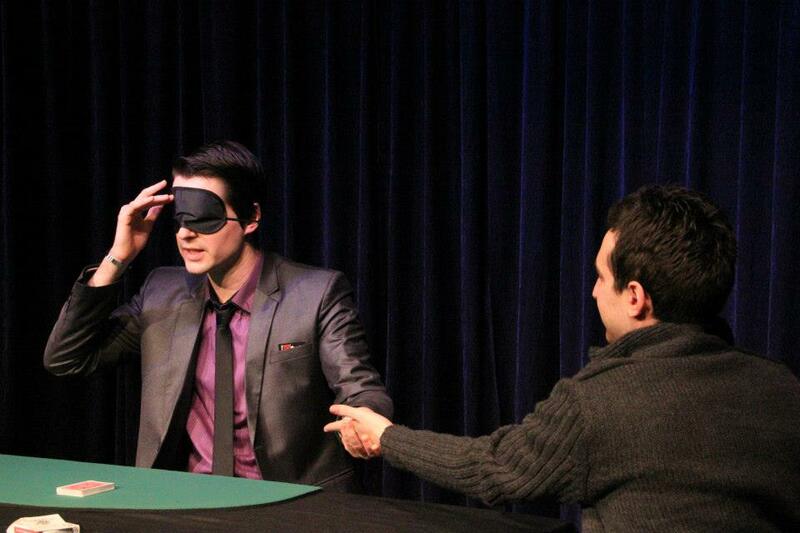 The Best of The Magic Fest is the place to see magic the way it was supposed to be performed – right under your nose! Catch Bayden in the line-up on Friday 8th July and Saturday 9th July, show from 9.30pm. After a sellout run at the 2015 Melbourne Magic Festival, Dom and Dumber are bringing their critically acclaimed show to the Melbourne International Comedy Festival in 2016! Winner of Candlelight Productions coveted award for Artistic Excellence, it’s easy to see why audiences have fallen in love with this cheeky duo. Dom & Dumber – The hilarious sketch comedy magicians! See Bayden’s brand new show, Dom and Dumber, at this year’s Melbourne Magic Festival! Dom and Dumber: The Sketch Comedy Magicians is exclusive to the Melbourne Magic Festival, running from July 8th – 11th at 9.30pm in Studio 1. For the love of magic… a reflection on Top Hat Tuesdays. It’s hard to believe, but as 2014 draws to a close, Top Hat Tuesdays has been running for two and half years! 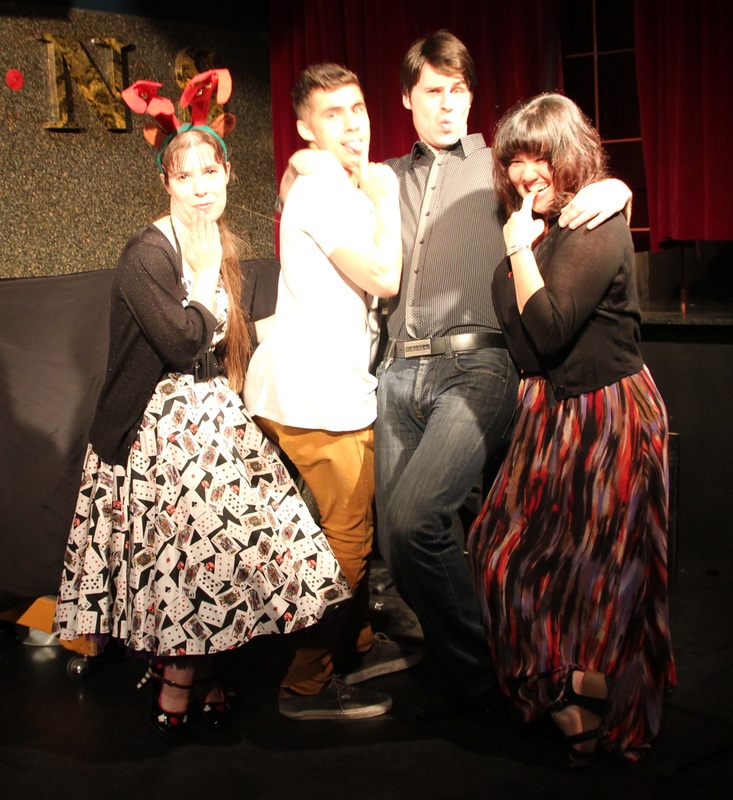 It seems like only yesterday that we humbly debuted our variety magic show at Charltons in June 2012. Since then, it has grown and evolved into one of my proudest achievements. But I certainly cannot keep all the credit to myself. The show simply would not exist without the dedication of my fellow producers: Siew-Li Hodge, Tayissa Artomonow and Dom Chambers (pictured). These are the tireless faces behind the scenes – wonderful people driven only by their passion for the art. But the support doesn’t end there! At every show, performers present their acts for a fraction of their professional fees (a mere token, in fact). These magicians are supporting our show because they love magic, they love the atmosphere, and above all, they love putting a smile on people’s faces. Melbourne is lucky to be home to some of the world’s greatest magicians and most vibrant magic scenes, and I feel absolutely privileged to be a part of it. And the best news – everyone can be a part of it! Because, when all is said and done, the real reason Top Hat Tuesday exists, is because of YOU. The fun-loving Melbournian. No matter who you are, what your background is, or what walk of life you’re in, our little show is here to bring a spark to your eye. For all your Top Hat Tuesday news, ticketing and info, be sure to visit www.tophattuesdays.com or join us on Facebook. Back for the The Close Up Gallery 2014! It’s that time of year again! The Close Up Gallery is my favourite show of the year, and one of the hottest tickets at The Melbourne Magic Festival. Each night, a rotating line-up of magicians showcase their skills of close-up illusion – this is magic so close, you can touch it. No camera tricks, no complex stage props, only the real deal cuts it here! Check out the promo video here! | Grab your tickets here! Another fun year of magic is well and truly under way – I can’t believe it’s already May! This weekend, you can catch me performing at the Edgars Mission Foundation Day exhibition. This wonderful charity provides life-long love and care to over 300 rescued animals. This free event provides a wonderful opportunity to learn about Edgars important work, and to catch me doing some mischievous magic in the process! Cost: FREE! See link below to RSVP.